Donald Trump Jr. 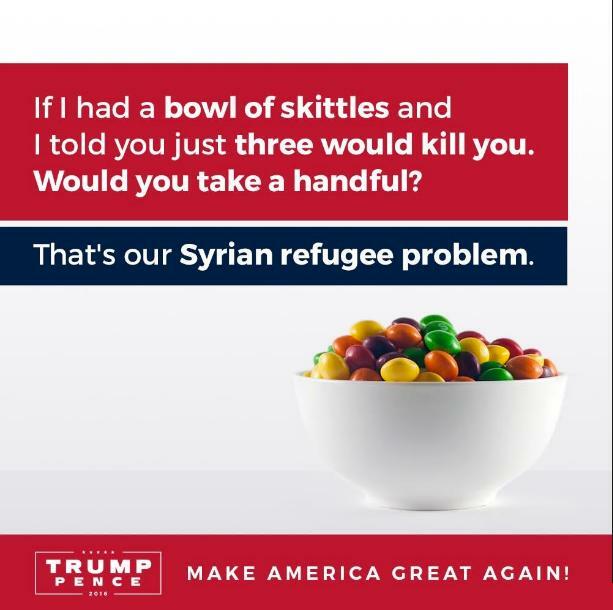 In So Many Words, Compares a Dead Baby Refugee to a Skittle. 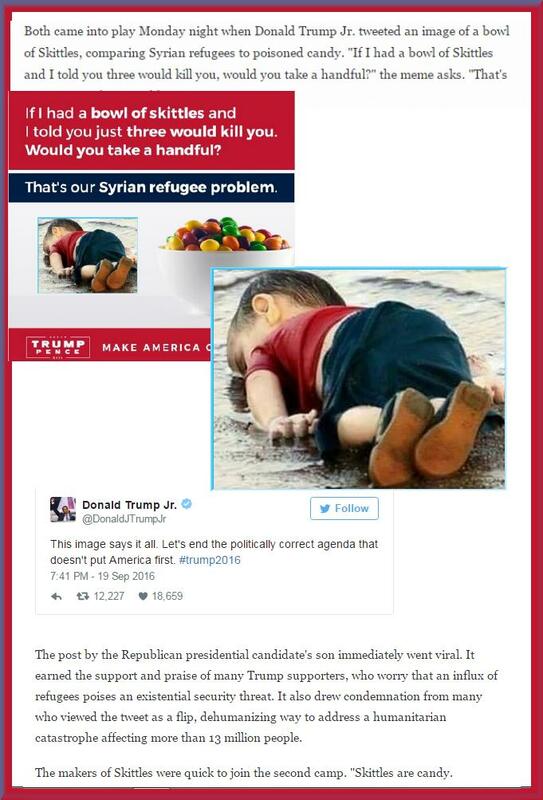 The post by the Republican presidential candidate's son immediately went viral. It earned the support and praise of many Trump supporters, who worry that an influx of refugees poises an existential security threat. It also drew condemnation from many who viewed the tweet as a flip, dehumanizing way to address a humanitarian catastrophe affecting more than 13 million people. The makers of Skittles were quick to join the second camp. "Skittles are candy. Refugees are people," a spokeswoman for the candy's parent company, Wrigley, said in a widely distributed statement. "We don't feel it's an appropriate analogy. We will respectfully refrain from further commentary as anything we say could be misinterpreted as marketing."